This hose is made of FDA-approved materials, so you can fill potable water tanks with confidence. Made of FDA-sanctioned materials, this hose is drinking water safe, so in addition to washdowns, you can use it with confidence for filling potable water tanks and jugs. Lead- and Phthalate-free™, it complies with the Consumer Product Safety Improvement Act. NeverKink® and Reflex Mesh® self-straightening technology make it easy to use. Made in USA. Deluxe 25' NeverKink Drinking Water Hose, 1/2" dia. Deluxe 50' NeverKink Drinking Water Hose, 5/8" dia. 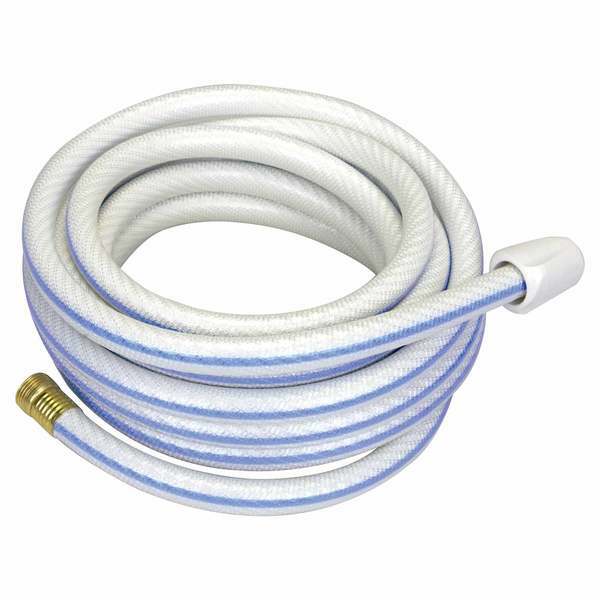 Deluxe 75' NeverKink Drinking Water Hose, 5/8" dia. Deluxe 25' NeverKink Drinking Water Hose, 1/2" dia.